This RS Pro signal filament lamp is commonly used as an indicator, with a midget bayonet base. Applications include in the automotive and gambling machine industries. Midget bayonet (BA9s) base Durable light source High-quality clear light. 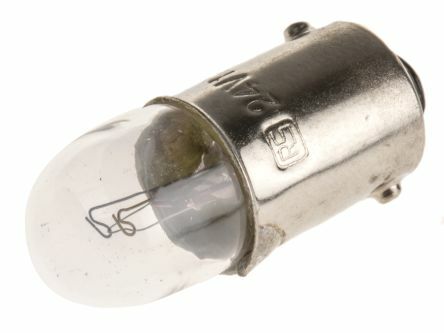 Filament lamps fitted with an optic at one end.Ideal for applications in which a narrow, concentrated beam of light is required. 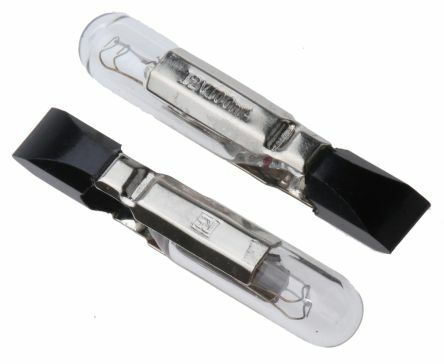 This T4 telephone slide lamp is used for miniature utility switches. 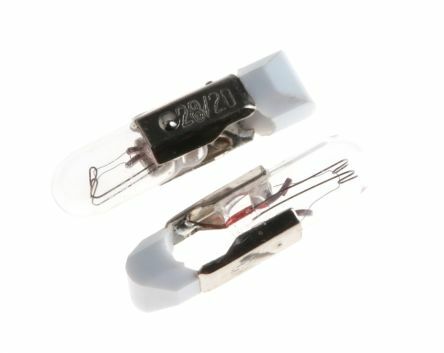 Used in applications that demand durable and energy efficient light sources. High-quality light Long lifespan, average life expectancy: 5000 hours Durable and efficient light source.